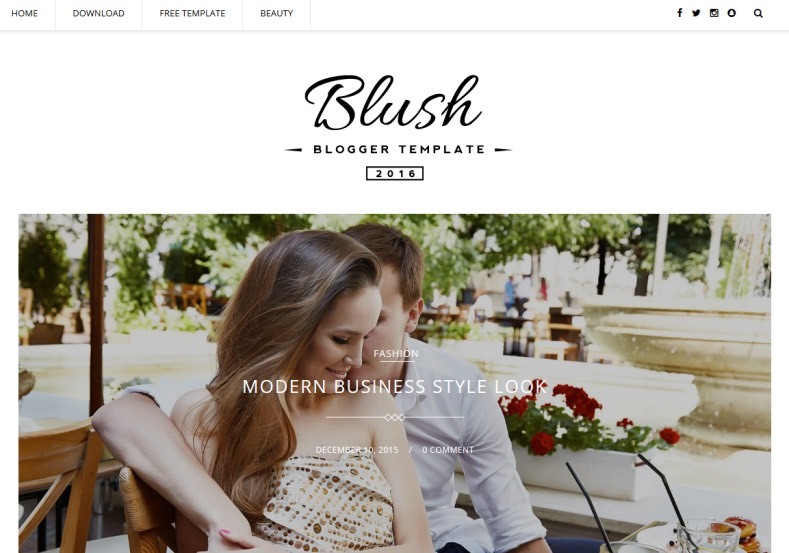 Blush Multipurpose Blogger Template has four blog layout styles called classic, first full grid, alternative grid, simple grid. You can integrate your instagram photos with this template. Email Subscription Widget Ready, Gallery, Masonry, Portfolio, Business, Slideshow, White, 1 Sidebar, 1 Right Sidebar, Clean, Minimalist, Girly, Fashion, Photography, Seo Ready, Magazine, Free Premium, Post Thumbnails, Responsive, Social Bookmark Ready, Drop Down Menu, 2 Columns, Instagram Ready.